Bergamot oil is cold pressed from the fruit peel of the Citrus Bergamia tree. This tree blooms colorful flowers of red, pink, purple or white. More than 80% of Citrus Bergamia trees grow in southern Italy. In France and the Ivory Coast, it's grown mostly for its essential oil. It's fragrant fruit, the Bergamot Orange, is the size of an orange with a green to yellowish color. Bergamot is not grown for its fruit or juice consumption, but instead for its essential oil. One hundred bergamot oranges will yield about three ounces of oil. It has a thin consistency and is pale emerald green in color. It has a sweet, spicy, floral, citrus scent. Bergamot oil has a cooling, refreshing, nature. It leaves skin smelling wonderful, soft and revived! It's ideal for calming inflamed skin such as: psoriasis, eczema, seborrhea, acne, insect bites or other minor wounds. Its antiseptic property wards off infections and speeds recovery. TIP: Soak in a warm tub, with a few drops, for relief to the shoulders or back. Relieve muscle tension, anxiety and stress. TIP: Add a few drops to warm boiling water and use as a facial steam. This helps provide acne relief. Bergamot oil is used in commercial and homemade skin care products. Use for making homemade soap, homemade lotion, creams or other toiletries. It adds a nice touch when blended with complimentary scents such as: basil, lime, clary sage, jasmine, nutmeg, sweet orange, frankincense, geranium, juniper, lavender, lemon, rosemary, sandalwood, violet, vetiver, jojoba and yiang yiang. It's one of those essential oils that just about blends with anything! Most soap makers consider it a "must have" in their soap making arsenal. Just a few drops, blended with complimentary scents, adds a nice touch to your homemade soap recipes. --- Before using any essential oil, know the cautions! Essential oils contain bioactive ingredients. This means, they contain natural chemicals that interact with biological systems. They're POTENT chemicals and should be used with care. --- Never use large amounts of essential oils externally or internally. Never use them straight! They must always be diluted in carrier oil, or soap, lotion or other buffering agent. Never use them without knowing what their bioactive compounds are known to do. --- Bergamot oil can cause severe burns when used on sensitive skin that has been exposed to sunlight, due to high bergaptene content. --- Skin treated with this oil should be kept out of the sun, due to possible photosensitivity. 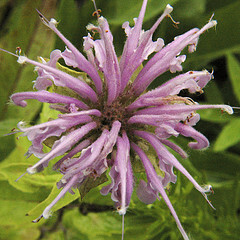 Bergamot contains a constituent called bergaptene, that increases the skin's sensitivity to sunlight. Most of the sensitizing bergaptene has been distilled out of Bergamot essential oil, but some traces may remain. it is safe to use, but use simple precautions. TIP: Use oil that is "BF", bergaptene free. This oil is safer to use in skin care products when there is exposure to ultraviolet light. However, there is still a potential for possible reaction for those with sensitive skin. TIP: If you apply a Bergamot lotion to your skin avoid excessive sunlight. TIP: Take a "nighttime" bath, with Bergamot oil, to avoid daylight sun.